MESA, ARIZONA SEPTEMBER 1, 2015: Starting in Season 2 of Bower Power Hour we will head into the garage to work on our producer Gabe’s Jeep JK that we are affectionately calling Craigslisticon. 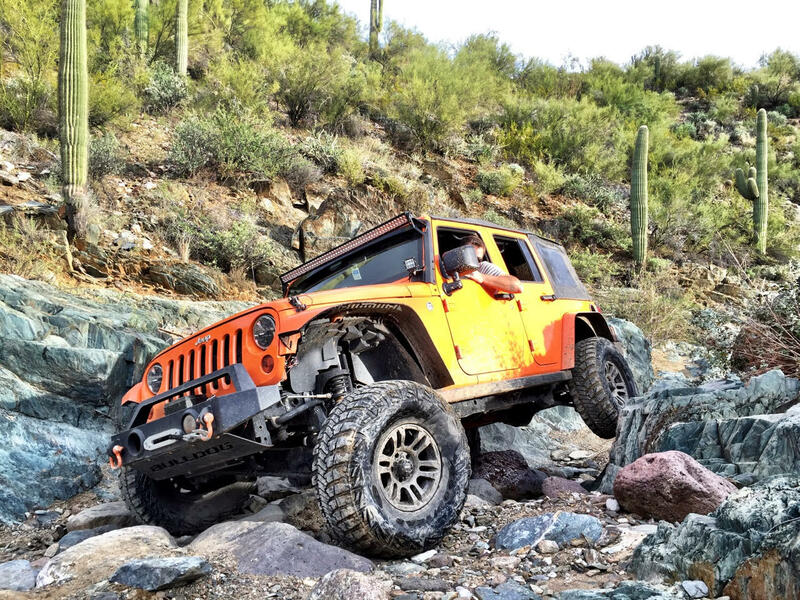 The everyday driver and well-wheeled JK is wanting some upgrades that will make it a more capable rig on the aggressive Arizona rocks. 30Pack Matt will explain why each part was chosen, what elements need to be considered for other options and then take us through the install process. This episode will start off the garage madness with an under the seat ARB Air Compressor and Manifold install featuring the Carolina Metal Masters plate, sPod quick connect and an additional air tank mounted in the rear of the jeep. This is in anticipation of the front axle rebuild including ARB Air Lockers. 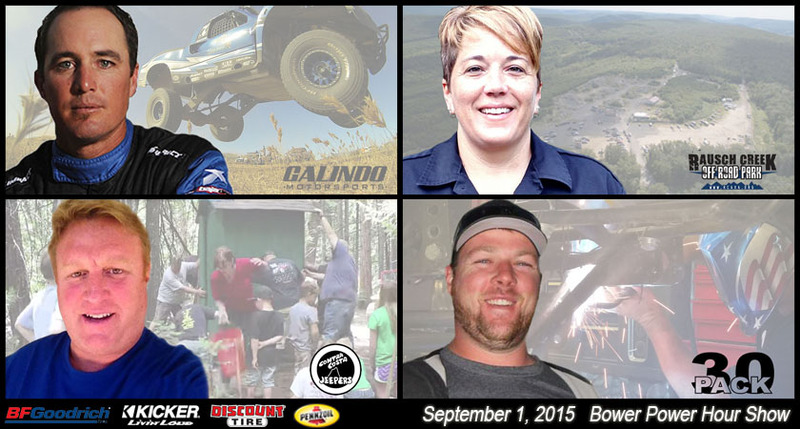 This week’s guests are Trophy Truck Racer Galindo Racin Steven Eugenio, Rausch Creek Off-Road Park Christie Vinson, Contra Costa Jeepers Jeff Mello and 30Pack Matt does an ARB Air Compressor under seat install. Steven Eugenio talks about his motorcycle-racing pinnacle Supercross to todays pinnacle of being the 2014 SCORE International Trophy Truck points champion and the challenges with being a blue collar racer. Christie Vinson tells us all about the huge 3,000-acre off-road park with easy, intermediate, and difficult trails plus the multiple events that happen year-round. Jeff Mello talks about how a club can make a difference in keeping a landowner happy or public land open. There are multiple ways to watch and listen to the show including YouTube, Vimeo, iTunes, SoundCloud, Spreaker, Stitcher, Tune In and more. Please feel free to share or embed the show as you would like. Dive in and learn more about each guest, and see all the watch and listen links at www.bowerpowerhour.com/september-1-2015-bower-power-hour along with links to the breaking news from the show.